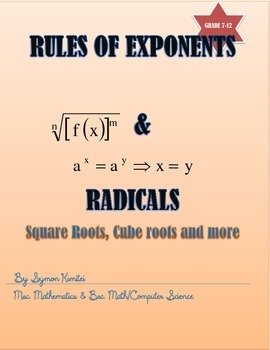 This book describes how we use rules of exponents and Radicals in Mathematics to simplify algebraic expressions. 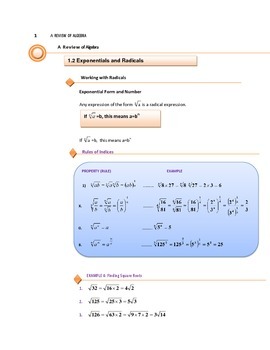 The simple rules outlined in this E-article allows anyone to master these ideas and to use them in simplifying any algebraic expressions that involves radicals or exponentiation. The rules are well outlined and examples are given. This is a perfect E-book for your students. It will serve as great notes to master the subject. 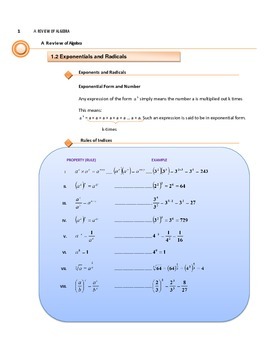 The E-book is geared towards grades 7-12 and even college algebra. 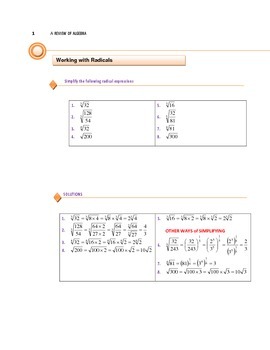 It is also a perfect resource for SAT Math, GRE Math, GMAT and ACT among others. It is my hope that you will enjoy it!